Miracle-Ear is one of the oldest and best-known direct-to-consumer hearing aid brands currently on the market. The company develops its hearing aid technology with evolving features that set Miracle-Ear products apart from many of its peers. 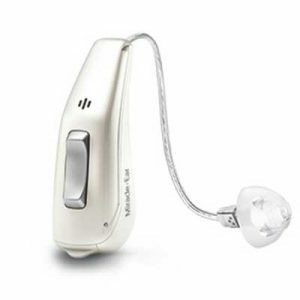 Their hearing aid technology includes GENIUS noise reduction and speech recognition. Miracle-Ear hearing aids are priced anywhere from around $1,000 to $5,000. As one of the oldest hearing aid manufacturers in the business, Miracle-Ear has patented some of the most technologically advanced hearing aids on the market. If you're in the market for a hearing aid, check out our picks for the best hearing aid companies. Miracle-Ear began in 1948 with a single hearing aid created by Dahlberg Electronics. In the early 1950s, the company incorporated then-new transistor technology into its hearing aid product, and by the early 2000s, all of the brand’s products were digitally based. The company has continued to innovate new technologies to improve hearing aid function, developing proprietary Speech Isolation, new digital noise reduction capabilities and integrated smartphone app functionality. Currently owned by the Amplifon family of companies based in Plymouth, Minnesota, Miracle-Ear is now a worldwide company. Its extensive network of local stores throughout the country offer hearing tests, hearing aid fitting and service help to set them apart from other direct-to-consumer companies with no local presence or way to shop for hearing assistance devices in store. Instead of selling purely by mail-order or over the internet, Miracle-Ear has brick and mortar store locations in all 50 states to provide in-person service from certified representatives. The company also runs the Miracle-Ear Foundation, supplying free hearing aids to adults and children without the financial means, insurance or government support to otherwise acquire a hearing aid device. Miracle-Ear doesn’t list the price of its hearing aid products on their website. Miracle-Ear says its products can run between $1,000 and $5,000 and according to the AARP, the average cost in the United States for a single hearing aid is approximately $2,300. It’s important to note, hearing aid cost will vary depending on your specific hearing needs, type of hearing aid and the technology included in the hearing aid. After doing some online research, we discovered customers paid within the following price ranges for hearing aids, including Miracle-Ear products. All hearing aids consist of three basic parts: a microphone, an amplifier and a speaker, which is sometimes called the receiver. The microphone takes in sound, the amplifier makes the sound louder and the speaker plays the sound into the ear. Beyond the basics, Miracle-Ear’s proprietary technologies help make its hearing aids and hearing assistive devices appealing to modern wearers. For example, its GENIUS™ noise reduction and directional programming and speech recognition technology, which recognizes and gives preference to speech sounds and filters the rest for a better understanding of conversations. Miracle-Ear also offers smartphone apps to manage your hearing aid without having to carry a separate remote control device. Miracle-Ear hearing aids come in several styles, including receiver-in-the-ear canal (RIC) and behind-the-ear (BTE) options. These aids have a similar look, with a small battery pack worn behind the ear and a wire attached to the small receiver inside the ear canal. However, there are differences in the receiver location and how it works. Miracle-Ear also carries more discreet and often custom-fit styles, such as completely-in-canal (CIC) hearing aids, which fit into the ear canal and do not have external packs behind the ear. In-the-ear (ITE) hearing aids also fit inside the ear but have larger casings and do not go as deep into the ear canal. Miracle-Ear also offers tiny, self-contained invisible-in-canal (IIC) hearing aids designed to go unnoticed when worn. Miracle-Ear offers six different hearing aid products plus custom-fit devices in several styles. The GENIUS™ 3.0 RIC is a leading receiver in canal device. It comes in eight colors and offers two case designs with different battery options. Like most Miracle-Ear products, it includes Bluetooth connectivity and can be controlled through the Miracle-Ear smartphone app, along with the technology to adjust for tinnitus, noise reduction and feedback cancellation. The Rechargeable LI RIC is the rechargeable version of the GENIUS 3.0 RIC and comes with a built-in lithium-ion power cell that provides up to 24 hours of use per charge. The Mini RIC stands out for its compact size. It has the same remote control features through the Miracle-Ear app as other products, as well as speech isolation and wind noise reduction. The ReadyFit CIC, an entirely in-canal device that does not have to be custom fit. It is flexibly designed to fit the majority of users comfortably without the need for custom work. It uses Miracle-Ear’s proprietary SingleMic™ sound collection technology and can connect via Bluetooth to the Miracle-Ear smartphone app. The Miracle-Ear Mirage™ IIC is an ultra-compact hearing device within the invisible in canal category, providing the most privacy for those who do not want anyone to know they use a hearing aid. Miracle-Ear distinguishes itself from competitors by offering custom hearing aids. The CIC, ITC and ITE devices are customizable, available in five skin-tone colors and include the same innovative technology and app connectivity as other Miracle-Ear products. Custom devices are fit to your needs and specifications through local Miracle-Ear stores. The following chart compares Miracle-Ear device types and features. Miracle-Ear offers a limited three-year warranty on the majority of its hearing aids. For more on exclusions, customers are directed to speak with a Miracle-Ear representative. Miracle-Ear also provides lifetime service for its devices, including free programming, free quarterly check-ups and cleanings, free annual hearing tests to determine if your hearing aid needs to be adjusted, and free cleaning and adjustments when needed. A great reputation for customer service helped Miracle-Ear earn a spot on our list of the Best Hearing Aid Companies for 2018. Accredited by the Better Business Bureau, Miracle-Ear has an A+ rating with the agency. The company also gets four and a half stars out of five on ConsumerAffairs, with more than 200 reviews on the site. Most reviews are overwhelmingly positive, and the few negative reviews tend to involve personal conflicts with local representatives. As a franchise operation with 1,300 locations throughout the US, Miracle-Ear strives to offer the same level of service wherever you live. How do I know if I need a Miracle-Ear hearing aid? As part of your first visit to Miracle-Ear, a hearing test is done to help determine what you might need. Come prepared with your health history and expect an inspection of your ear canal, along with evaluations of your hearing and ability to understand speech in a variety of environments. If you do need a device, Miracle-Ear will test an assortment of hearing aid types to see what works for you. The company even has a free online hearing test and a free downloadable hearing loss guide to help you get started. No, Medicare does not cover any hearing aids and only covers hearing tests for specific diagnostic purposes. However, while it’s uncommon to find hearing aid coverage in Medicare supplement and Medicare Advantage plans, some plans do offer limited hearing aid benefits. It is worth checking with your plan’s hearing aid policy and how to submit a claim yourself. No, Miracle-Ear store staff are not doctors but are trained and certified by Miracle-Ear, with annual recertification. The company’s hearing care professionals must also maintain any required state licensing. Can I get Miracle-Ear hearing aids through my doctor? No, Miracle-Ear sells directly to the consumer. They have a network of stores across the country staffed by hearing professionals for those who need customization service or prefer to shop in person. The centers also offer hearing tests. Miracle-Ear works through the Miracle-Ear Foundation to provide hearing aids to those in need without any other way of paying for a hearing aid. To find more information and learn about eligibility, you can visit the Miracle-Ear Foundation website. I am not on Medicare. Will my insurance cover the cost of hearing aids? The majority of health insurance plans do not cover hearing aids, or coverage is limited depending on the reason for needing hearing aids or coverage amount. A few plans cover hearing aids in limited amounts, such as up to $1,000 towards the devices on some plans. In the case of children who need hearing aids, 20 states mandate that health insurance plans cover hearing aids for children in some way. What Does Miracle-Ear’s Lifetime Service Include? To ensure your device continues to work as it should, Miracle-Ear prefers to see its customers five times a year on average. These visits include free quarterly check-ups to get your device cleaned, repaired and adjusted, and a free annual hearing test to monitor ongoing changes in hearing. With its long history, expansive store network and hearing aid technology, Miracle-Ear is a top contender in terms of quality and support. While it isn’t our #1 pick for hearing aid companies, it is a good choice. Our favorite part about the company is its commitment to serving the hearing impaired community through the Miracle-Ear Foundation, which provides hearing aids at a low cost or no cost. Overall, Miracle-Ear’s lifetime services, including free hearing tests and regular cleaning and adjustments, are good value and may reduce costs compared to companies that sell additional warranties or service plans for an extra cost. Do not patronize Miracle Ear!!! Besides offering obsolete technology hearing aids, they conduct dishonest and misleading business practices. They refused to honor their promotion of a “no hassle” 30 day free trial. We are still fighting with them over a $7000 pair of hearing aids that a second opinion said we did not even need. Total scam! Stay away! This office visit was/is a bad way to do business. They had me sign a contract just to get the hearing aid into the office from the factory. I did not know they would charge me, even after I had a serious family emergency and talked to the man about it. He would not listen and said it was too bad. They charged me $5000 plus a restocking fee. I worked hard and long with the operations manager from Miracle Ear and after talking with the Health plan they charged me still another $500 plus. Which I believe is a scam procedure to get money from me a Senior on limited Income. Go somewhere else. Believe me never deal with these people cause they lie to your face. Can’t take their word. Worst cons I ever dealt with. Theirs will screw anyone they can and as much as they can. Bring your own tape recorder to catch them and get a good lawyer. These people should be in jail. I was told by my audiologist that I am a candidate for hearing devices. The prices I was quoted was from as low as $699.00 per device for refurbished up to $2000.00 -$4500.00 for new ones. I have looked online hearing aids for a company who offered buy one and get one free. 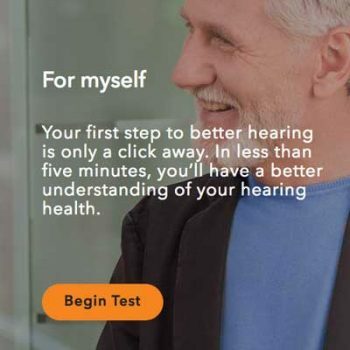 But, they wrote that you did not need a hearing test, or evaluation, also stated the devices would automatically adjust to your situation... this was a red flag to me and my audiologist. I kept looking and researching and found Miracle Ear in Cedar City. I made an appointment with Mr. D. ** and so glad I did. I was given a hearing evaluation and test via different frequencies and spoken words. Again, I was a candidate for hearing devices. I asked about Veteran discount and A.A.R.P. and they did both. I got two hearing aids for about $1600.00+ off the regular price. I also signed up for the battery club. He programmed them, set the technology for various hearing situations. Now, I can hear everything from birds, my cat, even the most quiet sounds 100% better. I am so glad I went to Miracle Ear. I got love the Genius 5300 RIC they have duel microphones and I can adjust volume and situations from "universal, noise background, and TV and movies and NO feedback squeal. I have been wearing them 10-12 hours a day for over a week and the batteries have not been changed yet. Mr. ** told me the devices will play a musical sound when the batteries are ready to be changed... They are hardly noticeable and I would recommend them for sure. Scam!! Beware, they take advantage of elderly people. My 90 year old father was lured in with an ad boasting an affordable price. He was told those types were for 'children' and wouldn't work for him. He ended up paying over 14,000$ YES... 14 thousand dollars for hearing aids for himself and his wife. The devices they sold him were not even necessary for his lifestyle. They told him he had 45 days to return them but when he called about returning them was told they would deduct 10%. He was never informed of that!! Complete rip-off!! Waste of Time & Money. Father-in-Law paid 4,500.00 for mine on sale. Never worked right. Eat batteries. When I moved the close by vendor just took them to back room and gave them back. Junk, still did not work. When contacted they told me to bring them back to where they were purchased at. Apparently these stores are franchised. The 20.00 dollar one as seen on T.V. at Walgreens works MUCH better. It is sad that this company would take advantage of a 91 year old woman. My mother. Their contract says that you may bring the hearing aids back within 30 days. There could be nothing further from the truth!! My Mother brought an advertisement in for hearing aids starting at $550.00. She left paying $5,500. Less than a month later she realized she had made a mistake and attempted to return them. First, they told her there was nothing they could do until "she spoke to her boss" who was not available. They told her to come back in a week. Understand, my mother doesn't drive, and gets around using a walker. She made an appointment for the following week, returned and was told "none" of her money would be refunded. It was very clear they don't stand behind their advertising or their contracts or their words. CUSTOMER BEWARE !!! My regular associates and all family members, except for one young grandson, are loud talkers and it didn't occur to me that my hearing was really bad until I noticed that I was the only one regularly asking my grandson to repeat everything said to me. I remembered seeing a "Miracle Ear" TV advertisement, so I checked their reviews as well as those for the competition. I'm very glad that I chose Turnersville Miracle-Ear, where I was placed with Sherry **, who I would happily recommend as someone who works with you until your hearing aid is fine tuned to complete satisfaction. "Miracle-Ear" may seem a little pricey compared to the competition, but I tend to agree with the saying "you get what you pay for," especially when applied to your lifetime hearing. I want to commend the audiologist, Jeffrey, at the Miracle-ear location in Spokane located on Division near Northtown. His very professional manner, friendliness and service oriented demeanor is the very best I have ever encountered in my many years of dealing with service-oriented establishments. I would award him a five star plus rating. If there is anyone within 100 miles of this location needing help with their hearing, please visit this Miracle-ear location. You will not be disappointed. I have had my hearing aids for 1 year. I was recently called for a checkup appointment. Upon arriving I find that the gentleman that had served me in the past was no longer with the company. I was served by an overly aggressive young man whose first order of business was to tell me that the technology of my hearing aids was out dated. I was informed that I could get the new and improved technology "for only" an additional $5,600.00. I asked how long the new technology has been available, surprisingly it has been available for "thats right" 1 year. So initially I was sold out dated technology. Go shopping before you spend that kind of money, there has to be better places to do business with.